With over 30 years of experience in designing and producing fine English oakwork, Oakmasters will add value to your development with bespoke oak frames and features. Oak is a beautiful, versatile and symbolic material. 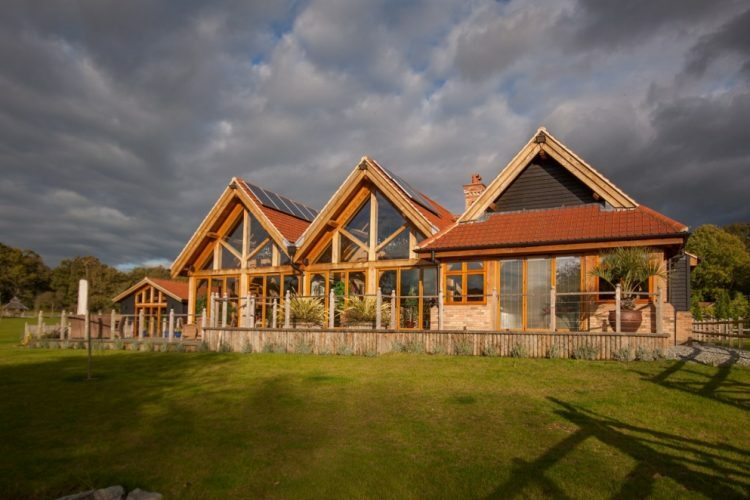 Oak framed buildings feel somehow alive with atmosphere and warmth – they can be rich, rustic and charming; or light, innovative and spacious when combined with modern materials and architectural ideas. We specialise in working with this unique timber. As a family company, we’ve been providing both commercial and private customers with luxury oak products for over 30 years, and our hand-finished oak frames are instantly recognisable through their quality and attention to detail. Oak is fast – oak frames assemble around 30 per cent faster than masonry as they are pre-fabricated off site and assemble as a kit, leaving you to focus on other aspects of your development and saving you money on site labour. Oakmasters offer a flexible service, letting you choose supply only, or full assembly service by one of our specialist teams. Oak is sustainable – we source our oak from sustainably managed sources and as we use green oak to construct our frames, we use very little energy and produce very little waste in the manufacturing process. European oak forestry has a long-standing tradition of sustainable crop management. 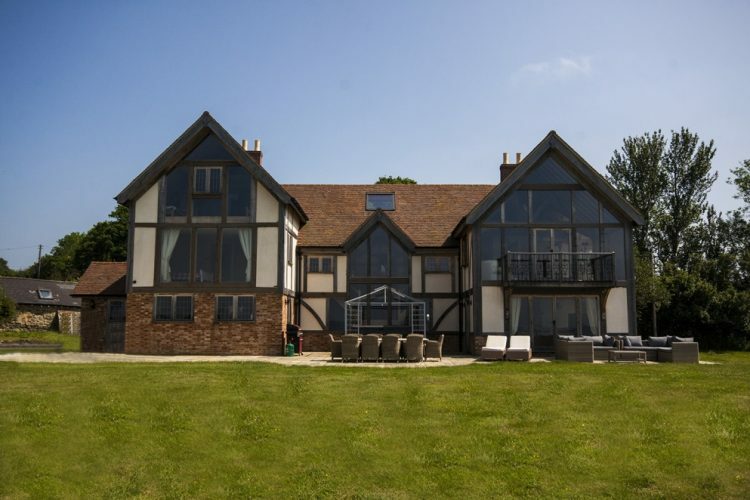 Oak is flexible – oak framing offers huge potential and architectural adaptability, as oak frames can be used in combination with a variety of materials from masonry to modern structural insulated panels. 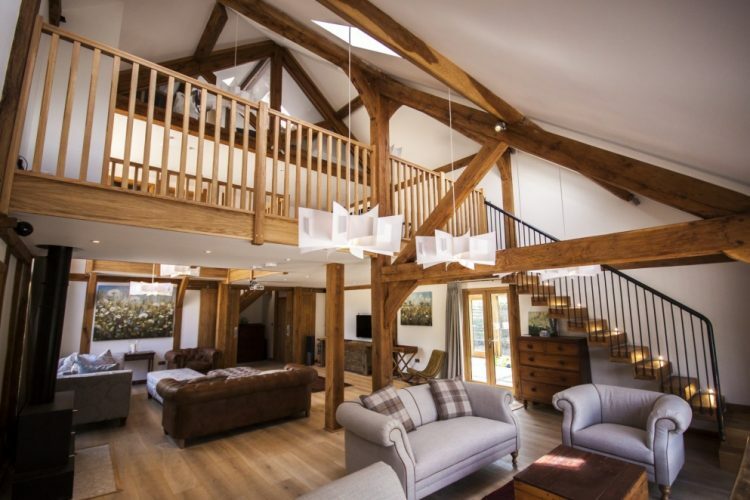 If complete oak frame is not part of your plant, why not use individual oak components such as roof trusses in open vaulted ceilings, or oak beam casings to disguise steel beams or concrete lintels. Oak features are always popular with homeowners, creating a sense of luxury and adding a wow factor. 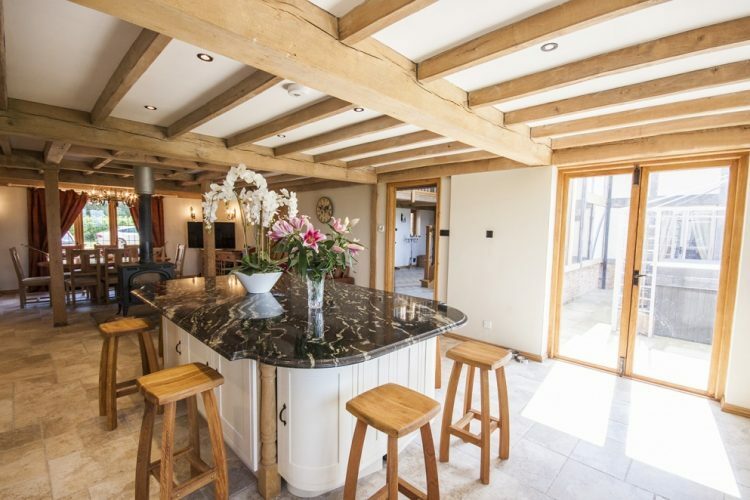 We design, engineer and build bespoke oak framed houses and extensions, garden rooms, conservatories, orangeries, swimming pool houses and luxury oak garages. 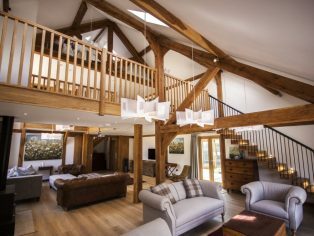 Our bespoke oak building components, such as luxury, hand finished roof trusses, porches, beam casings, as well as beam and post kits are available in design and supply form, to be installed by independent building contractors. Visit our project gallery to get inspired. Superior craftsmanship and service – you can tell Oakmasters’ oakwork just by looking at it. Meticulous attention to detail, hand-wrought finish and friendly, personal service are our hallmarks. 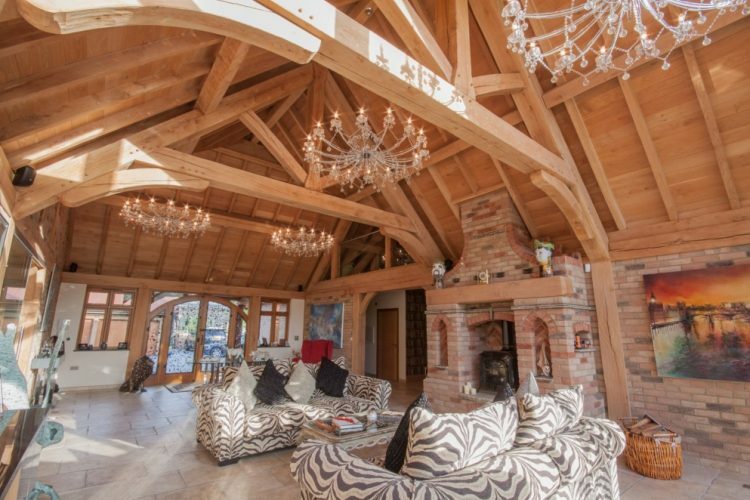 We construct our oak framed houses with sturdy, quality oak posts and beams as standard, rather than cutting corners. Throughout the process, we make sure we listen to your needs and that our designs and specifications fit your budget. Flexible expert service – oak is what we do, and we do it well. 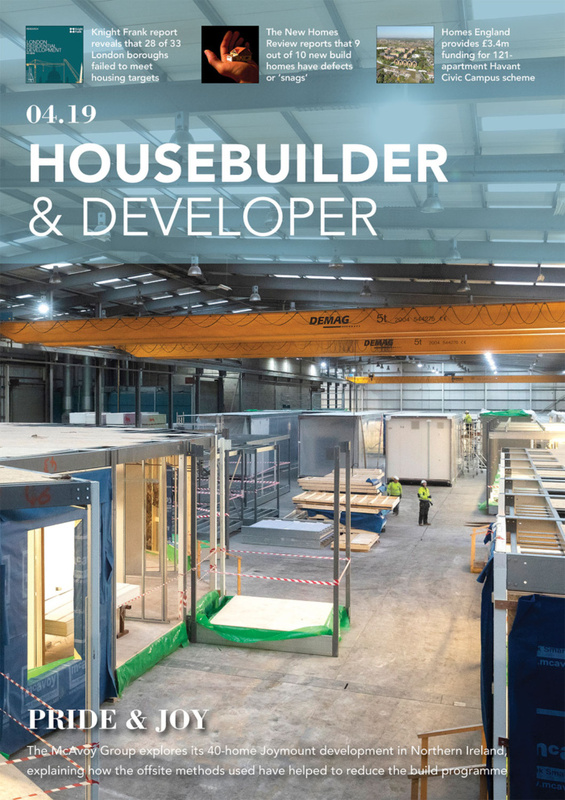 Our services range from supply of individual pre-constructed oak components, through supply and assembly of oak frames, to complete architectural design services and project management for your development. 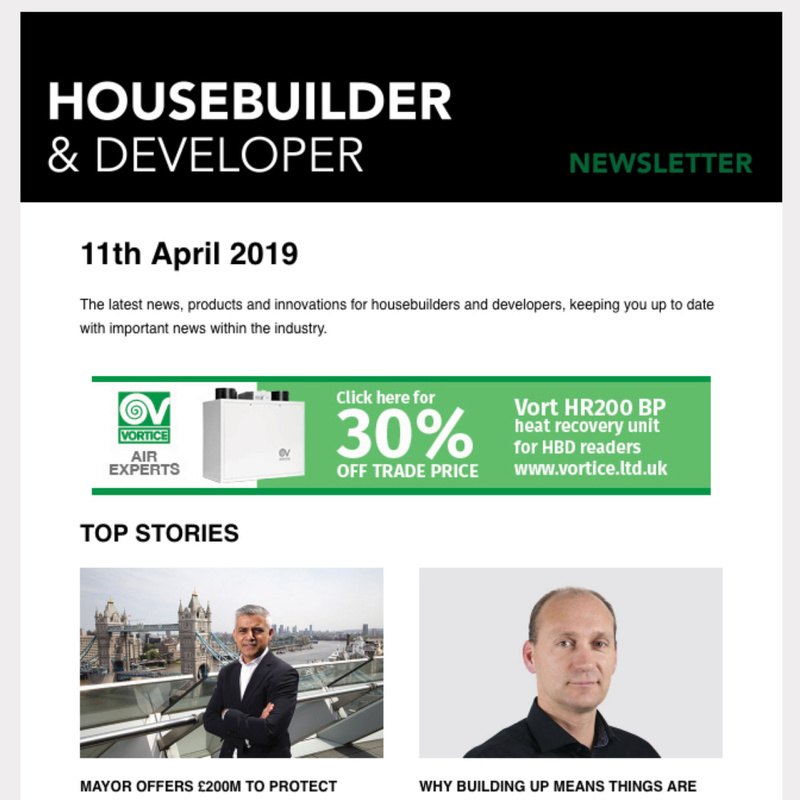 We can work alone, or work with your other suppliers such as architects, builders and engineers, providing expert advice on oak every step of the way. 12-year guarantee – we are very confident in the quality of our work and offer a 12-year guarantee on our oak frames and glazing systems. This means that even long after your development is finished, we are here to help. Not that this keeps us very busy!